You’ll notice from the moment you step inside how warm and inviting this huge home feels! Offering three upstairs bedrooms plus a second floor flex room, and a 4th bedroom & 3 piece bathroom in the huge finished basement, the size of this home is just right. Located on a premiere street in the upscale new community of Sage Creek, walking distance from the new K-8 school and the exciting shopping and dining hub, this beautiful home is loaded with so many features that you will love! First up are the glowing hardwood floors and soaring ceilings that set an elegant but welcoming tone. This home has an intelligently designed layout that allows for both a main floor den AND formal dining room, making this a real lifetime home. Next is the huge eat-in kitchen with stunning stone countertops, upgraded cabinetry, large pantry and stainless steel appliances. Upstairs you’ll find three roomy bedrooms plus a flex room and 2nd floor laundry. The principal bedroom is truly enormous, and features a deluxe spa-like ensuite and large walk-in-closet! 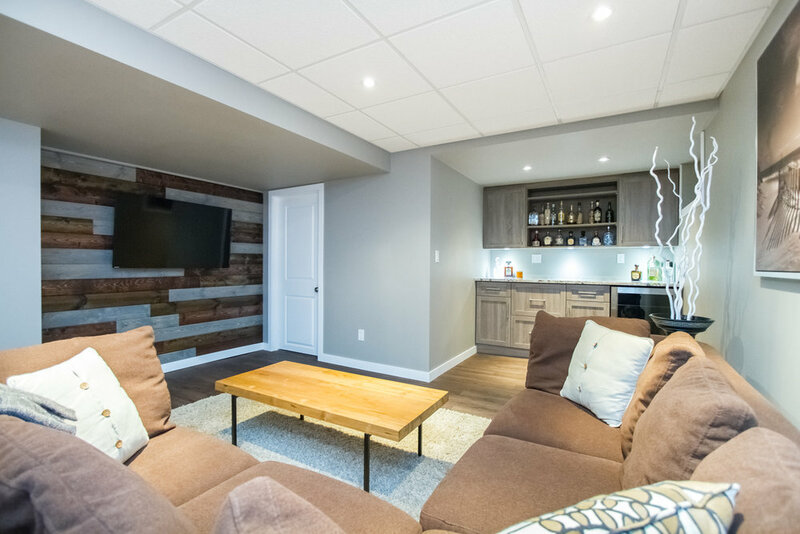 The basement is really nicely finished (2016), offering a huge rec room with bar & wine fridge, great 3 piece bathroom and bright guest room. Outside, the deck is massive and just perfect for entertaining, plus the landscaping is complete and the property is fully fenced—just move in and start loving life in your gorgeous new home. Book a showing now!